"Open source drawing software with quality"
Open source, lots of brushes, simple GUI, easy to use, brush smoothing, symmetry tool and the high quality of the lines using the line tools and mouse. The default hotkeys are different from the standard, but this is simple to fix. Sometimes a bug occurs, and I'm unable to perform any action, but the program still recognizes hotkeys and this happens quite often. MyPaint is free and lightweight, don't eat your computer resources, easy to learn, different types of drawing tablet works with it, and if you want to use a mouse instead, the line tools are excellent. From time to time I like to use MyPaint with a mouse to create pencil line art. I do a lot of sketches. I find the brushes perfect for this and I don't need to make a lot of changes. "Open source graphics editor for digital painters focused on painting and not manipulating images." This application has a custom procedure brushing motor optimized for use with pressure sensitive graphic tablets. Graphic tablet support sensitive to pressure. Dynamic library of brushes, independent for integration in third-party applications. Gamut masks the color wheel. Canvas "Unlimited" that does not require the predetermination of the size of the image. In addition, you can hide the entire graphical interface, and focus all your attention on the drawing, without getting distracted by unnecessary or complex buttons or palettes. It is a software that has very little popularity since microsoft window includes the paint. Although it has a multilayer system and it is better we can say that it is not considered as a useful tool, since it is not a professional solution for editing and modifying images. The product is very good in the process of layer editing, it is also easy to use and has new applications that are very powerful, it is important to note that you can share the designs on the network and burn them in a format other than the one recommended by MyPaint, example Can be stored with JPG extension. Making images editing and generating them in layers to be able to show only what they ask me to see in the design of the element, this helps me preserve a bit of privacy in my designs. made a mechanical piece by capable and its respective cutting then I could send it by mail in JPG format that makes it lighter and it is possible to open it with any image editor. It`s lightweight, has native stabilization, a wide selection of brushes, you can use both "Line and Curves" and "Inking" to create line art, cheap drawing tablet works fine. Undo feature needs a little more improvement, when selecting brushes sometimes the GUI glitches and you can't draw until you press ESC, rapid motions with drawing tablet create sharp lines instead of smooth. MyPaint is the perfect solution for those who are running on a tight budget since it's free. After a few minutes, you'll start to get used to the hotkeys and to configure the brushes to suit your tastes. You can use a drawing tablet, and thanks to the advanced options for lines, you can easily use a mouse. And since MyPaint is open-source, your feedback will be valuable and necessary to make MyPaint a better tool. I use MyPaint for small projects where I don't need to too many details and to sketch. MyPaint has an incredible pencil brush, and I love to use. Large selection of brushes and pencils, native stabilization, Lines and Curves tool works fantastic with a mouse; you can preview in real time the Pressure Variation for Lines and Curves, the GUI doesn't take unnecessary space. Sometimes when I try to change the brush using the bottom right corner while using a drawing tablet, I can't interact with the program until I press a key, usually ESC. Since it's free, you should give a try. If you have experience with others software of this type, you will need some time to get used to the hotkeys and how to use/configure the brushes. I use MyPaint to creat line art when I don't have a drawing tablet avaliable. "Not easy to find a credible download for Mac OS"
This is a very simple product that children can use. It's easier to use than Adobe products, and actually has more options as far as brush strokes, sizes, types of media. It's a bit tricky evaluating this software because, as I said, it's meant more for a child, so when asked whether or not it "meets requirements" my answer is based half on what I think and half on what my son thinks. Also regarding ease of use, the software itself is easy to use, but as mentioned the installation, especially for mac users is quite difficult - or rather a very long process. I've only used this software with my son who is 7. He loves any screens, like most 7 year olds, but this program allows him to be creative as well. He uses it on a Samsung Galaxy Notebook, and it's perfect for that format. I like it very much and I recommend this to others. In layer switch there is a lag which I personally do not like.Old interface was not that good but now I see lot of improvement. If you want cost effective good product I will recomend this to you. I love MyPaint. It gives me the freedom to create art as I want. It has a large brush collection that is just like using pencils, paint, ink, and/or charcoal, which are the standards. It also allows you to make new, expressive brushes that are better than the norm. The is really nothing I dislike about it. Try it and see if you like it first. Also try other paint applications to determine which would be a better fit for your company. With MyPaint, I’m able to draft my own business cards, letterheads, flyers, and anything else that I may use graphics for, to my own specific wants. It is very easy to use. "Great OpenSource Program with Quirks"
In the past, this program was a fantastic, simple way to draw or paint, offering a simple and responsive interface without the hassle of other features that would go mostly unused. The application didn't seem as heavy as Photoshop or Sketchbook Pro. I still use an older version because it runs great and doesn't hog my system's resources. Recent updates (for Windows) have been plagued with serious lag issues, making it difficult to use. The brushes need a little polishing up and refinement. Before considering MyPaint, you will need to consider the pros and cons. The application can be a light drawing program that won't hog system resources (especially older versions). The program is free and regularly updated. The program has some technical issues, lagging at random points. Some of the brushes seem to be grainy or unrefined. The program is originally created with Linux users in mind and it shows. Issues on Windows are slow to be repaired. This program is a free alternative to Sketchbook Pro or Corel Draw, saving money and allowing my keep up my workflow. The program has some technical issues, lagging at random points. Some of the brushes seem to be grainy or unrefined. MyPaint is originally created with Linux users in mind and it shows. Issues on Windows are slow to be repaired. As a non-Linux user, I have had to deal with slow updates and glitches. "Simple yet superb, MyPaint ticks all the boxes"
My favourite thing about MyPaint, which is not easy as there is a lot to love about MyPaint, is that it's brushes, especially set2, are extremely close representations of physical pens, pencils and the like. The speed at which you can create something with these is also remarkable. There's no lag on the brushes either, feedback from the pen strokes appearing in perfect real-time. I dislike one thing. When a layer is turned on or off, there is a delay when this happens. That's the only thing I don't particularly like. I use to find the interface very simplistic, not a problem but a bit of a distraction, but the new interface is far nicer to work within. I occasionally end p creating storyboards for clients. This is the sort of job that ends up a clunky process in Photoshop. Whereas I still do use Photoshop for the image size formatting, I now do most of my actual boarding in myPaint as I can very quickly create the look that I want and the flow of the action without getting bogged down in the minutiae of Photoshop. "Just Open the Program and Paint"
MyPaint's strongest asset is its USP - the ability to immediately jump into the program and start painting. Its minimal interface makes for a non-intrusive layout - windows only appear if you want them to, and can be docked or left floating, or closed at will. The focus is very much on the canvas, and what you are painting. In this sense MyPaint is truly made for artists - traditional artists making their first steps into digital art will find MyPaint an ideal starting point. The default brushes are designed to emulate real-life media - charcoal, paint, dry brushes, etc. They have a unique 'feel' to them that I can't quite describe - something Photoshop can't emulate. There are plenty of different settings to customise should you want to make your own brushes. A nice surprise I found was the 'delay' setting, which makes painting lineart so much easier to do, if, like me, you own a regular graphics tablet rather than a Cintiq. The cross-platform installation. While Windows users have executable files to easily install the program, the lack of Mac developers on the MyPaint team means that Mac users have to learn to use package-manager MacPorts in order to install it from the terminal, along with a lot of other software dependencies. Even then, there have been reports of the install not going smoothly. This will likely put off a lot of non-technical Mac users. There are some shortcuts that I miss from Photoshop as well, such as being able to create stamp-like brushes, or the Clone tool. I'm also a 3D artist and because of some of these limitations, I don't feel that MyPaint is suitable for texturing 3D characters at this time (though I don't think this is what the software was designed for anyway). Being a free, open-source project, MyPaint does not require any extortionate licence fees in order to be used for commercial/freelance work. "MyPaint is a decent free program with some nice features, but can't carry the work alone." One of MyPaints best features is the ability to pick layer, color and BRUSH with one click over the stroke you with to pick those from. That's one powerful feature I wish other programs have. I think MyPaint is the only one. There are separate shortcuts to pick color, or pick all. I like the blending brushes which can do some really nice and fast blending. I also rather like it's ink and pencil brushes, which for me are the best to use in MyPaint. Very snappy and with natural reaction to the stroke. There is a very extensive parameter set for brush control, even with the limited options you can make some pretty nice painting and pencil brushes. The infinite canvas feature, it lacks an option to make it "finite", because having a limited canvas size or an artboard is an industry standard, and having no fixed canvas size is a minus when having to work with other programs. MyPaint alone is not strong enough to be the only program to work in. Zoom levels are a little unclear(i start with an unzoom first), as well as resolution and canvas size. Often, if you don't take care, you will end up with a very small image. I think more artists should try it at least, it can be very fun to work with. It's speedy, nifty, and can export layers to multiple PNG which you can later use in Photoshop, if you don't need only basic jpg and PNG export. MyPaint is very useful when you want to add some handwritten details, some painted elements or quick art if you don't have Photoshop around. For me it worked the best with handwriting. I used it to make a ind of "handwritten" and doodled website design. I also use it to sketch from time to time. "It is a package of freehand drawing quite friendly with many options of drawing and editing"
"powerful painting experience with traditional effects"
i dislike that i can set up a page size, its infinite and has its own advantages but also v shud get ption to have specific size so v can export later to photoshop. i love using mypaint, itseasier to use than artrage, only artrage gives u better textures for oilpaints etc. but as a sketching tool i love mypaint, use the various brushes to merge colors much better than photoshop can ever give. i use mypaint whenever i need to rough sketch ideas (infinite page helps a lot here). whenever i need more artistic outputs like watercolour etc. or charcoal. There are some problem with installing beacause it is incompatible with some OS. Yes, it very easy to use! The top software to create icon! "MyPaint help me to edit ad get better many file." I like it because it is very easy to use. I had could edit and repair many files that sometimes I had couldn't open. Nothing. I liked everything i had did when I had used Paint. MyPaint is free, opensource tool for creative artist of digital era accompanied with Wacom fully supported tablet is grate tool for creating sketches, digital paintings with feeling of painting like on real drawing pad or canvas except there is no mess. No turpentine scent but that might ba an advantage. 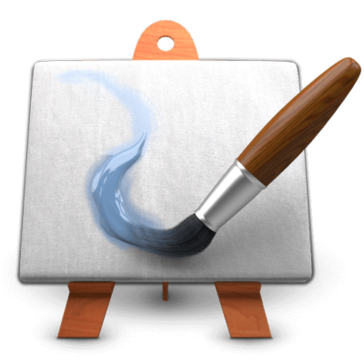 Great and free replacement for Corel Painter. Linux, Mac OSX, Windows, great Wacom tablet support. I like that simplicity of the program. And how you can paint and design what you want to on the PC. It actually makes your dreams a reality. No artisting Photoshop like software on it to manipulate an image. It helps get the job done with good editing skills. "Best paint app around. " MyPaint mostly consists of the canvas. The interface to select different brushes can be brought up if needed, but it generally stays out of the way of getting things done. MyPaint focuses only on drawing. It has very little in terms of post processing or image manipulation features. If a user needs a bigger canvas all they need to do is zoom out instead of re-sizing beats anything out there! MyPaint was designed specifically with pressure sensitive graphics tablets in mind. "Great for making quick professional loadplans"
The ability to quickly and easily add well constructed shapes to an image. This makes for easy bullet or cloud comments. I didn't find anything with this application that I disliked. There is a variety of options as far as brushes. And the color sampler is nice too. If you love to draw or paint this can help Bri g out your creative side. Creating flyers and graph is for presentations. The thing I like the most about the MyPaint software is that it picks up every thing you do as you create your master piece. The thing I dislike the most about MyPaint is that there seems to be constant upgrades that are needed. If you have a Tablet and enjoy drawing and need to create graphics, then MyPaint is great. It allows people to create better and more specific graphics. Easy to use with a good intuitive design. Nothing much, it's a pretty standard program. "Best software i have fofund"
I dont like the occasion brush lag it sometimes gives. "I use the tool to upload screenshots - good software"
It is easy to copy/paste jobs and format and edit. Nothing at the moment. I think more user guides would be nice. The creative aspects of this program make it easy and fun to paint! Some of the program's features could be more sophisticated. Giving employees an outlet to create paintings with this program has increased productivity of workers and also reduced their stress. "Easy but not many options"
"Nice Software for designingeasy and art"
Easy to use , nice graphic capabilities. * We monitor all MyPaint reviews to prevent fraudulent reviews and keep review quality high. We do not post reviews by company employees or direct competitors. Validated reviews require the user to submit a screenshot of the product containing their user ID, in order to verify a user is an actual user of the product. Hi there! Are you looking to implement a solution like MyPaint?